Great to look at, and even more fun to drive, the seventh generation Celica was something of a hit, despite the limited engine choices, and also incredibly reliable. You’ll need to move quickly to find a good one. The original Toyota Celica was launched back in 1970 and the Japanese firm used the name for a series of handsome coupés ever since - until the demise of the last generation model in 2006. Great to look at, and even more fun to drive, the seventh generation Celica was something of a hit, despite the limited engine choices, and also incredibly reliable. You’ll need to move quickly to find a good one. Throughout its history the Celica was available in convertible and coupé guises, though for the last generation only the latter was ever produced. It was a pretty thing as well and looked far more exotic than its rather reasonable price tag suggested. There was at least some choice when it came to engines, even if on the face of it they looked rather similar. Both were 1.8-litre four-cylinder petrol units, but there were two power outputs available - ranging from 140- to 190hp. The higher power was achieved with a two-step 'Variable Valve Lift control and Variable Valve Timing' system. Both engines need to be worked hard though, as little happens until well over 4,000rpm - but it’s worth the effort when you do. If you prefer your sports car to the do the shifting for you, then you’ll be disappointed, as the Celica was only available with the slick-shifting six-speed manual gearbox. Trim levels were relatively narrow as well, the more powerful model being designated Sport. However, there was the occasional special edition with extra kit - and it's worth looking out for these. Having been out of production since 2006 there aren’t that many to choose from on the used market, and of those that are available many will have been modified (often poorly) so take your time to find the right car for you. It is a sports car though, so as long as your budget can stretch to it try and find the more powerful 190hp model - economy and emissions are broadly similar to the 140hp examples anyway. 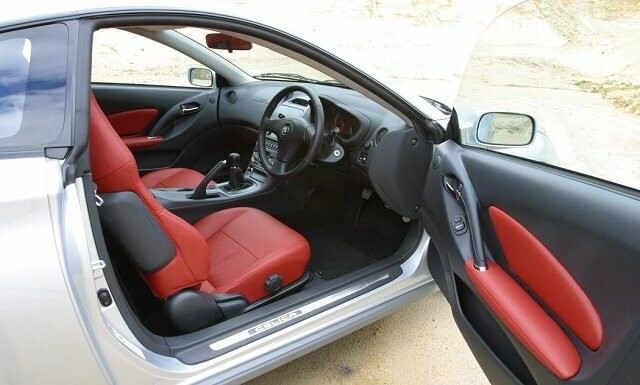 The special editions are worth a look too, especially those that come with leather seats. You’re only likely to be considering the Celica if you like an old-school feel to your coupé - which is something the Celica excels at. Great to drive and look at, it’s also relatively economical, cheap to run and reliable. They’re getting rare now though, so bag yourself a good one while you still can.